I have had more energy these last few weeks than I have had in a while. Perhaps it’s because I’m losing weight, perhaps it’s desperation that the end of the year is approaching, perhaps it’s to avoid doing things I shouldn’t. Whatever the reason, early in November I made myself a promise to finish 6 projects. Well, as of last Tuesday, I am done. The final one went out Tuesday night. Here is the final quilt I did. 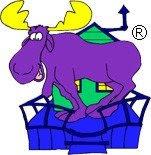 After returning from Fedex (who apparently delivered the package to the wrong address, and I’m still looking for it…..), I started Bonnie Hunter’s Allietare Mystery and am doing my dutiful Monday morning link up. I did manage to get Clues 1-3 done so far, and will start Clue 4 today. And how about you? Are you doing anything productive? Still keeping up with the Grand Illusion mystery. Because 1) there were less blocks this week and 2) because we already made the HST in Clue 1 and 3) because I have a die for cutting strips in the correct size for the corner pieces, this clue went quickly. I just laid out some of my blocks, bu this doesn’t look right to me at all (especially when I mentally factor in the number of each block I have). So all I have done in this pictures is give myself–and you a better impression of how the colors will look together. Still liking my choices. Happy to wait and see what it finishes out to be. Gives me something to think of at this time of year other than how much I miss the kids being at home. Tomorrow I have to get some more house cleaning and stuff done before the kids arrive. How about you? Getting any sewing done? 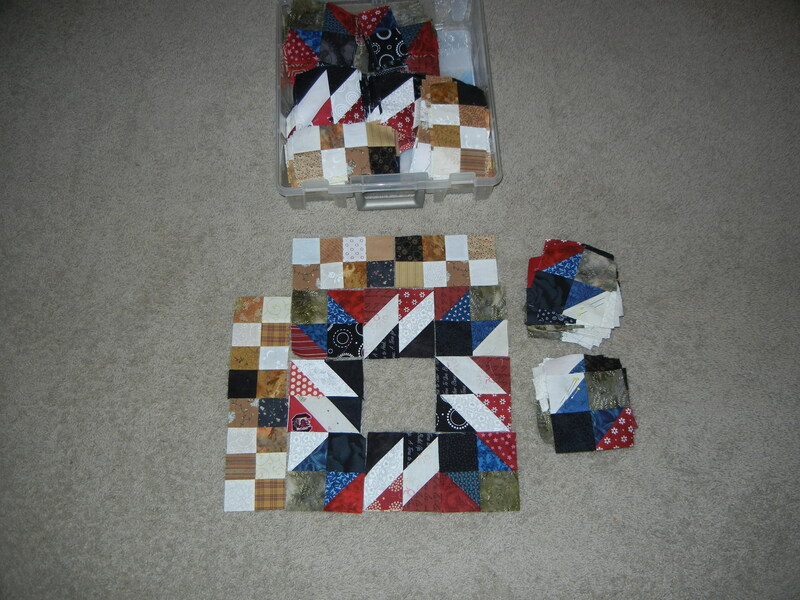 So secondly, since I didn’t have a die and I had many scraps, I ended up sewing many, many single squares together. That might have seemed a bit over the top, but I didn’t have as much variety of my beiges as some of my other colors, so adding more variety to the neutrals and blacks seemed to be a good idea. But it increased both the cutting and sewing time dramatically. And I couldn’t even start on it ’til Saturday afternoon, since I had promised to quilt a quilt and I had to do that Saturday. My color scheme is about as far off the reservation as I’ve seen. 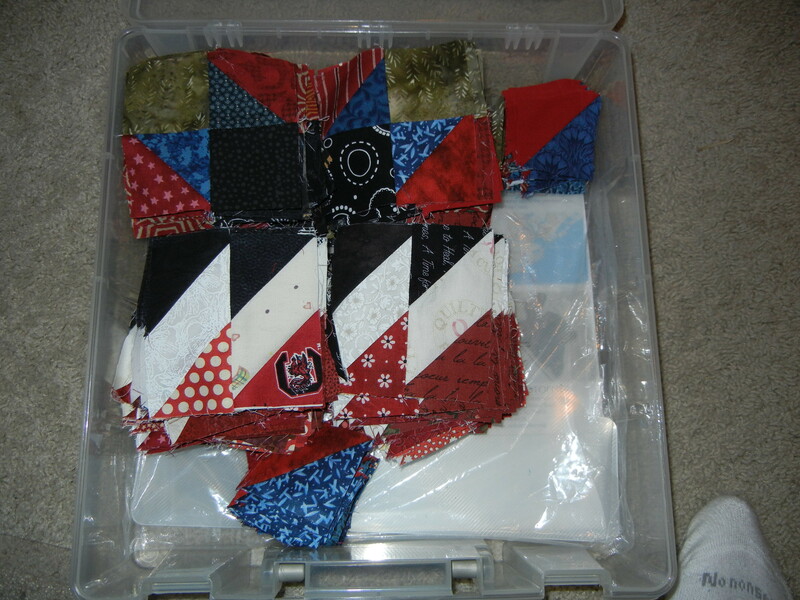 It is going to be a much calmer, but darker quilt. More earthy. Hope I like it! 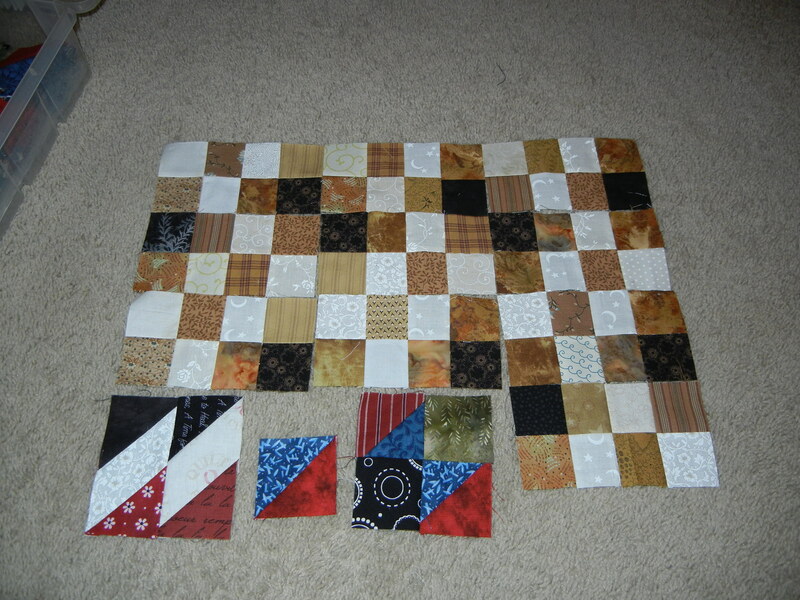 For more Grand Illusion Mystery quilts, visit http://quiltville.blogspot.com/2014/12/mystery-monday-link-up-part-3.html. At this time of year, we all have commitments. So when I decided to participate in Bonnie’s Grand Illusion Mystery, I knew I had some things to work around. December is always a busy time at work, and then there’s other things–an HOA meeting, quilt guild board meeting, I took a quilting class, etc. 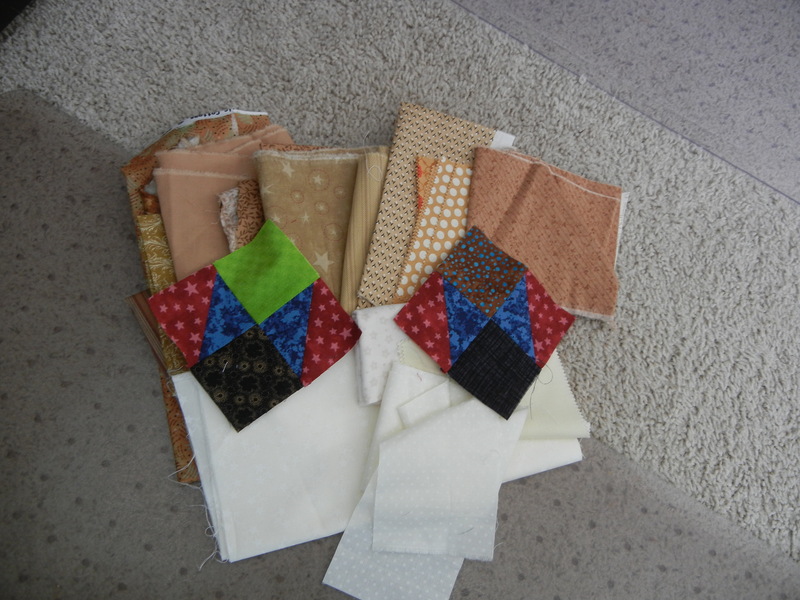 With the quilting class yesterday, I didn’t think I’d have enough time to finish Clue 2. Yet here are Clue 1 and Clue 2 all done and stacked, semi-neatly in a project box. Now back to other things! Had a good weekend, but I am a bit down, with the kids not being able to get home for Thanksgiving. I did manage to complete part 1 of Grand Illusion. 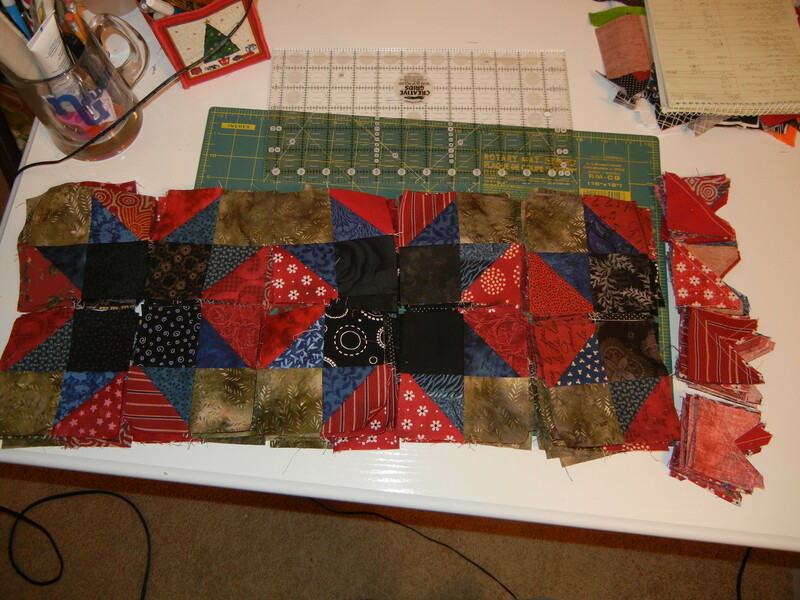 I still need to press the HST, but the blocks and HST are done. Big departure color-wise, and I finally settled on an olive green batik for the constant instead of yellow. To see more of Clue 1, visit Bonnie’s link up page. Hope you had a wonderful Thanksgiving.On Thanksgiving day I did some bear assembly, but for a while, the sight was a bit macabre. Looks arms, legs, bodies, heads, hears, and a pile of baby bears. The small bears are fleece bears for the NICU unit (See “Charli’es Unstuffed Bears” on Facebook). The bigger ones are for Victory Junction. I have written about them before. I completed the two striped bears and about 20 of the little bears, which are all bagged and ready to be delivered. I am also starting Bonnie Hunter’s latest mystery Grand Illusion. I decided to depart from her colors. Completely. Oh, I’m leaving the neutrals, although mine will be no darker than cream. I am leaving the blacks, because you just don’t get enough contrast with every color. But for her pink, I have substituted red. For her teal, have substitued blue. For her green, taupe. And the constant I was on the fence about. I love this lovely brown fabric with the teal dots. But on the very first clue, it seemed too dark. And then I had this lime green. But it seems to bright. Or i have to go buy something. Think I’ll go think about it some more. Each fall I head off for retreat. 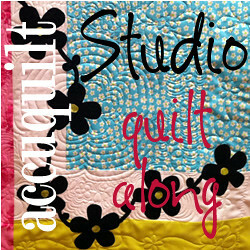 I teach the mystery quilt class and have for 5 out of the last 6 years. I do a little presentation as detective Sam Spade and present my mystery at the end of retreat. It is always great fun. I also run an online mystery quilt which originally was established for Quilts of Valor, but not it is just for military charities. A few years ago I was castigated for not doing things exactly the right way (I didn’t think it necessary to make a pillow case, if you must know) and I parted ways with the organization. I started Mystery #34 on that group last week. I spent most of my weekend getting ready for retreat, as I don’t want to have to do it ALL on Thursday night. I have a full week of work Monday-Friday this week, quilt meeting, volunteer night, and I jut don’t think I’ll have time to do it at the last minute.